The neurological effects of neck pain can range greatly, depending on the location, severity and nature of the causative condition. Pain is only one of the many sufferings associated with cervical spinal issues, with many victims enduring far worse and more physically-disabling symptoms throughout their minds and bodies. Pain is already a terrible burden in life. Chronic pain, in particular, is well known and scientifically-proven to have drastic negative mindbody effects on any individual. Neurological consequences may cause dysfunction of specific or general bodily systems. They can also cause cognitive disorders and psychoemotional problems that can rival the worst anatomical expressions. Remember, persistent pain is a multi-affective health crisis. This dissertation examines some of the obvious and lesser known neurological consequences of a variety of chronic neck pain diagnoses. We will also look at the cognitive and emotional effects of these neurological effects, even when these factors are not directly caused by nerve dysfunction. We hope to shed light on these sufferings in order to increase public awareness of the tremendously varied effects of chronic pain in the cervical spinal region. Spinal stenosis in the cervical spine can cause widespread neurological dysfunction, since it may compress the spinal cord and therefore affect all bodily systems and processes below the stenotic levels. Effects can include weakness and numbness in parts of the body, the inability to stand, sexual dysfunction, incontinence of bowel and/or bladder and other terrible symptoms. Compressive neuropathies in the neck can cause symptoms in the area of the anatomy that is usually innervated by the pinched nerve. Symptoms span the gamut from tingling to paresthesia to weakness and may exist in the neck, shoulder, arm, hand or head. Many diagnoses can lead to chronic stiffness and tension in the joints or soft tissues of the neck. These conditions can be physically-limiting, preventing proper movement of the head and greatly diminishing the comfortable or available range of motion. These expressions might be neurological in nature, although many other causations are also possible. Patients may experience cervical headaches from concerns that affect the upper nerve roots or uppermost spinal cord in the vertebral column. Likewise, some patients might have vision or ear problems related to upper cervical spinal troubles. 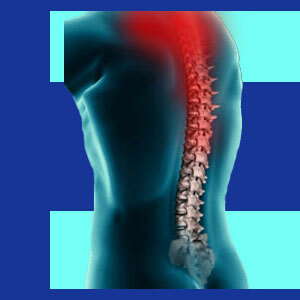 Nerve-related disorders might lead to positional or postural problems. These issues can range from the inability to find comfort when reclining, to the inability to sit or stand. 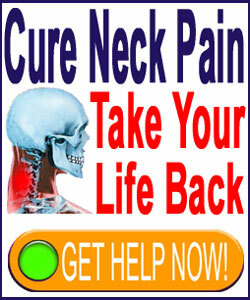 Many patients with chronic neck symptoms suffer cognitive problems due to the consequences of enduring pain. These effects may or may not be directly linked to neurological deficits, but since the brain is a hardwired organ, full of neurons, the effects of pain on cognitive functionality certainly do have neurological components in virtually every case. Pain can cause similar symptoms to ADD, disallowing the patient from concentrating on important cognitive functions throughout life. Pain can deprive the patients of sleep, causing persistent insomnia and the associated cognitive difficulties, such as the inability to focus or perform mentally to a typical level of functionality. Long lasting pain can cause neuroplastic changes in the structure of the brain. These changes can affect both the emotional state of the patient, as well as impairing cognitive abilities. Statistics clearly show that chronic pain diminishes a person’s cognitive potential across multiple measurable performance parameters. Pain can diminish self esteem and ruin a positive body image. Patients might suffer from problems relating to a lack of autonomy and can be further diminished psychologically by a high degree of dependency on caregivers. Patients will develop negative thought and behavior patterns, including chronic cynicism, anger, depression and other horrible life-affecting emotions. This chronic negativity can have catastrophic effects on overall health and wellness over time. Patients with chronic pain are once again victimized by the negative neuroplastic process in the brain, wherein neuron connections increase the cognitive and emotional effects of pain on virtually all mind and body functions, including demonstrated psychoemotional states. Lasting symptoms can create the physical disabilities listed above and each of these consequences will also enact significant psychoemotional damage that is related to the physical expression. Some of the worst possible mindbody symptoms include those associated with incontinence, disability and sexual dysfunction. Statistics prove that chronic pain patients can suffer vocational and social disabilities that are directly related to the expression of their symptoms.